Cubed Steak with Peppers and Olives can be cooked in the Instant Pot, Slow Cooker, or on the Stove-Top! This easy dinner is one everybody will love and it can help you stay within your budget too! 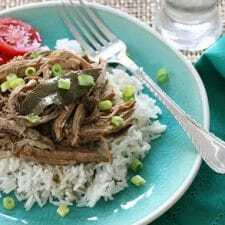 Click for The BEST Instant Pot or Slow Cooker Roast Beef Dinners! 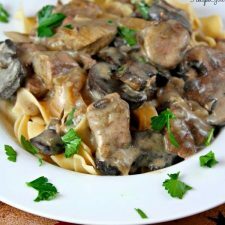 Click for 50 Amazing Low-Carb Instant Pot Dinners! 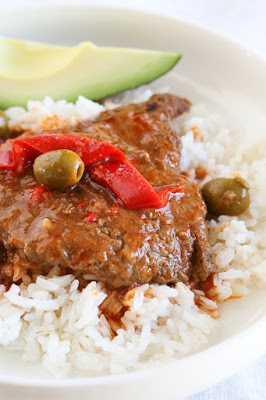 Cubed Steak with Peppers and Olives from Skinnytaste is a flavorful, family friendly recipe that’s budget friendly too, and Gina says her family devoured this dish and went back for seconds. This is a tried-and-true recipe she got from her Mom, who got the recipe from a Cuban friend. Gina remembers her mom making Cubed Steak with Peppers and Olives on the stove, but I can’t wait to try it in my Instant Pot. Luckily you can choose your preferred method and try it either in the Instant Pot, in the Slow Cooker or on the stove top. No matter how you make it, this needs to be on your menu this week! And if you serve this with cauliflower rice it can easily be a low-carb or South Beach Diet friendly meal! Get the complete recipe for Cubed Steak with Peppers and Olives for Instant Pot, Slow Cooker, or Stove Top from SkinnyTaste. 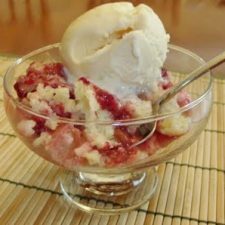 Check out all the the International Flavors Recipes.